FRANKFURT—Germany’s top carmakers including BMW and Volkswagen are looking at ways to speed up development of the next generation of self-driving cars, possibly by even working together, as tech giant Google forges ahead with plans to mass produce such vehicles. Carmakers and tech companies have been in a race to develop self-driving robotaxis since 2012 when Google unveiled a self-driving car. BMW announced a development pact with tech firm Mobileye in 2016 and Daimler struck an alliance with autos supplier Bosch in 2017. BMW and Daimler’s first-generation autonomous cars will start to emerge after 2020/2021 using computers and high-definition maps to navigate within a pre-defined geographical zone like a motorway. But Google’s Waymo unit this week announced plans to mass produce self-driving cars, adding urgency to German carmakers’ plans to review ways to accelerate the development of second-generation vehicles, a source at a German carmaker told Reuters. “There are talks between various players about where the resources come from to develop the next generation self-driving vehicle,” the source said on Jan. 23. “The autonomous driving push won’t be enough to get us to level 5,” a second source said, referring to the highest level of vehicle automation. Volkswagen’s Chief Executive Herbert Diess last November said Waymo had a one- to two-year head start in developing self-driving technology, due to its decade of testing and millions of miles driven. Germany’s manager magazin said on Jan. 23 BMW, Volkswagen, and Daimler—as well as major German suppliers Continental, ZF and Bosch—were in talks about developing a joint system for autonomous driving, citing company sources. “If we combine our knowledge and technology, then we can even overtake Waymo,” the magazine quoted one of the participants in the talks as saying. A third source at another German carmaker said it was unlikely a consortium would include all German manufacturers and major suppliers, but that an economic slowdown had led to a reassessment of spending requirements. The BMW-led consortium currently includes Intel, Mobileye, Magna, Fiat Chrysler, and auto suppliers Delphi Automotive and Continental AG. One member of the consortium, Magna’s chief executive Don Walker, earlier this month urged the auto industry not to waste funds on developing self-driving cars and to forge broader alliances as a way to share development costs. 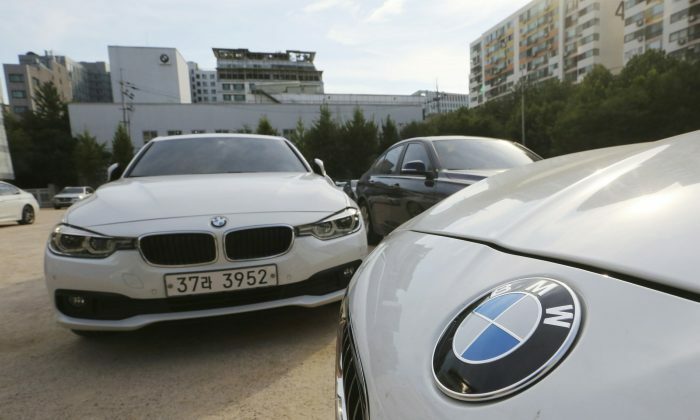 BMW on Jan. 23 reiterated it was open to broadening its consortium. “As we have emphasized in the past, there is interest from other companies in a cooperation. As usual, we do not comment on this in public and cannot comment on media or market speculation,” a BMW spokesman said. In October, BMW’s research and development chief Klaus Froehlich said rivals were interested in joining a BMW-led consortium to develop self-driving cars. German carmakers are in talks about developing a common standard for placing stereo, camera and lidar sensors on an autonomous vehicle, as a way to share the regulatory and liability burden faced by carmakers, BMW’s Froehlich told Reuters last year. “At the moment we have a lot of discussions, how can we join, how can we modify our sensor stack so they can team up,” BMW’s board member for research and development said. Volkswagen has said it is open to deeper alliances in autonomous cars, including with Ford and Waymo, and on Jan. 23 reiterated it was on the lookout for new partners. Daimler declined to comment on the manager magazin report. The Stuttgart-based carmaker unveiled a cooperation deal with Bosch in April 2017 to develop a system for self-driving vehicles which would be open for third party users. Bosch, Continental and ZF declined to comment. Thousands of people marched in Colombia's main cities on Jan. 20 to reject violence three days after a car bomb attack.